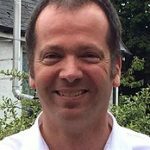 Alex has over twenty years’ experience in the VCSE sector, previously with Groundwork SW for fourteen years, delivering employment, training, and social enterprise programmes. Particular areas of expertise include public sector, bid writing, and over the last few years change management. His current areas of interest include how we can secure a future for Dorset’s VCSE sector at a time of reduced funding and fundamental changes in statutory services such as health and social care. 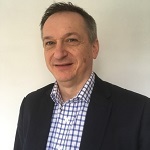 Neil is an accredited counter fraud specialist with over 20 years’ cross industry experience in the design and implementation of robust counter fraud strategies; he has also led major fraud, money laundering and asset tracing investigations. Neil is also a trained trainer who has designed and delivered different financial crime workshops and e-learning. Neil has also led internal audit teams to provide assurance around the adequacy of organisations’ fraud management arrangements. He also has operational finance experience within a Top 30 FTSE company. 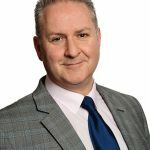 Much of his career however has been spent in the public and not-for-profit sectors and he has recently used all his experience to devise and write an online package (The Fraud Management Resource Centre). This online hub enables users to put the different building blocks of their fraud strategy in place. The Self-Assessment Tool provides a unique focus for identifying areas for improvement as well as also providing a benchmark from which progress can be measured. From that self-assessment, organisations can implement a coherent strategy using the other tools within the package in the safe knowledge that they are doing so based on up to date information and cross-industry best practice. The Financial Crime Management Group have also recently launched a page more directly relevant to charities – view here. • When should I consider Social Investment? • How can I make the process less onerous? • What are the benefits for my organisation? As part of the senior management team at CAF Venturesome Holger shares responsibility for the strategy and operations of the investment team. In his two years at the organisation he has supported over 60 investments from four Venturesome funds. 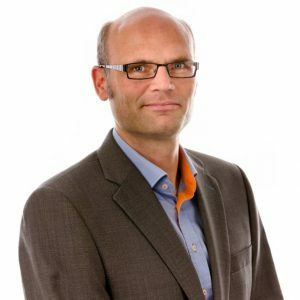 Holger started his career in investment management and joined the voluntary sector in 2005, following completion of an MBA at INSEAD. He co-founded Eastside Primetimers, a consultancy that advises organisations on strategy and raising finance. Ian Girling is the Chief Executive of Dorset Chamber of Commerce and Industry. Ian has a very strong focus on taking the chamber up to the next level with the development of new services and benefits for members – and as the county chamber accredited by the British Chambers of Commerce, is working closely with town chambers and partner organisations to build a powerful and vibrant network to give a powerful voice to our business community. Ian has proven track record in business support across the county over many years. With a strong focus on collaborative working, Ian is passionate about developing enterprise and an environment where businesses can flourish. Most recently Ian has led the development of the pioneering Young Chamber programme, building bridges and partnerships between education and business. Ian is passionate about support for the 3rd sector with a large number of charities actively engaged with Dorset Chamber. 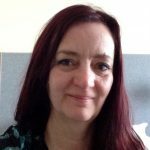 Jane Galloway is a consultant and trainer in the not for profit sector, covering fundraising, marketing and communications and an Associate Lecturer at the University of Chichester, delivering lectures on the UK’s first Charity Development Degree course. Having gained a vast amount of experience from working in both the private and commercial sectors, initially as a state registered nurse in the health care sector, then as a store manager, Jane moved into the ‘not for profit’ sector some 20+ years ago. During this time, Jane has worked for a for a wide range of charities, including an independent museum and archaeological dig in west Wales, for Macmillan on a £1.2 million capital appeal and as an Appeal Director for a University teaching hospital in London on a £3million appeal. Prior to setting up her own business, Jane worked as a Chief Executive for a national conservation charity and as a Director of Marketing, Communications & Fundraising for a disability organisation. This breadth of professional experience has equipped Jane to assist a wide range of organisations with their ongoing training needs, board governance and strategic development. Since 2009 this has included working with the Association of Jersey Charities and most recently helping The States of Jersey on raising awareness of the new Charities Law. 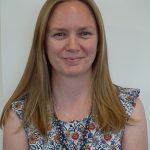 Jessica is Partnership and Co-production Manager on Dorset County Council’s Living and Learning programme, which is working with communities and stakeholders to develop effective and affordable service delivery on a place basis. Jessica leads on involving stakeholders and communities in the co-production of community offers for living and learning. Jessica has 15 years’ experience working with communities in various parts of the UK, specialising in engagement, consultation and community development. She has previously worked for Dorset Council’s Partnership, Highland and Islands Enterprise and Youth Highland in Scotland, the office of the Children’s Commissioner for Wales and Save the Children in Wales. She completed her masters in Social Development Planning and Management at Swansea University.